MORRISVILLE, NC——Pharmaceutical services provider, TrialCard, recently accepted the corporate chair position for the Juvenile Diabetes Research Foundation (JDRF). 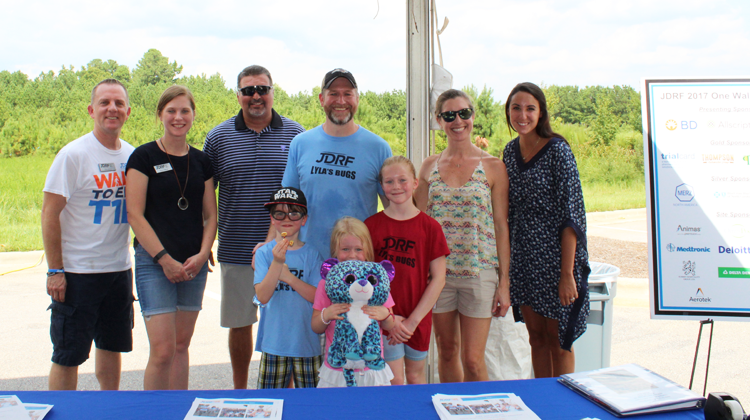 JDRF is the leading global organization funding type 1 diabetes (T1D) research, with the mission of accelerating life-changing breakthroughs to cure, prevent and treat T1D and its complications. “At TrialCard, our mission is to help patients gain access to lifesaving treatments and medications, and JDRF was founded on a vision of the world without T1D. Teaming up with them is a natural fit, and we’re very excited about this opportunity to positively impact our community and the world around us,” said TrialCard President and CEO Mark Bouck. Since its inception, TrialCard has placed a strong emphasis on giving back, and as a company, supported more than 30 different local and national charitable causes in 2016. The company was honored with a spot among the Triangle Business Journal’s 2017 Corporate Philanthropy Award winners as a leader in volunteerism and charitable giving among Raleigh-Durham area businesses. TrialCard has set a goal of raising $22,500 in support of JDRF throughout the remainder of 2017. To reach this goal, TrialCard is hosting multiple events for their employees, clients, and vendors to enjoy while raising awareness and funds for T1D research. Among the activities are TrialCard Game Days on Friday afternoons during the summer, an ‘End of Summer Celebration’, and fielding a company team for the JDRF One Walk scheduled for October 28, 2017.